Bespoke Sheet Metal Work in Nottinghamshire, Great Britain. 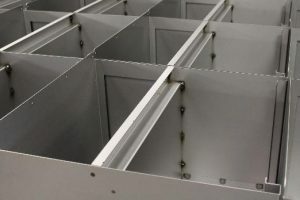 Bespoke Sheet metal work and fabrication is the cornerstone of our metal working business and has been for almost thirty years. We are immensely proud of our reputation in high quality bespoke sheet metal work fabrication. 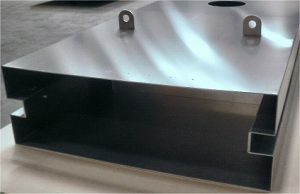 The manufacture of bespoke Sheet metal work and fabrication is an old and traditional trade which like other industry sectors it has evolved into the modern world with the development of new production techniques and manufacturing methods. Bespoke Sheet metal work and fabrication methods and processes. 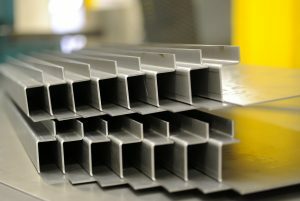 From the formation of the business almost thirty years ago we have, together with the traditional metal working methods, continued to incorporate the use of modern manufacturing techniques to improve both the quality and accuracy of sheet metal manufacture. These methods have enabled the business to reduce to some extent the skill level required for parts of the manufacturing process and therefor to reduce the costs charged accordingly. 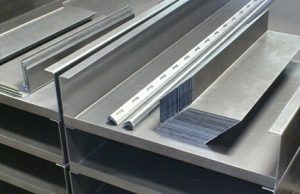 We have an envied reputation for bespoke Stainless Steel sheet metal Fabrication and stainless steel sheet forming which has been earned during the many years we have been in the business. We are well respected for producing high quality bespoke products which is borne out by the length of time many of our customers have been using our services. Every aspect of the production process is monitored to ensure quality and trace-ability. 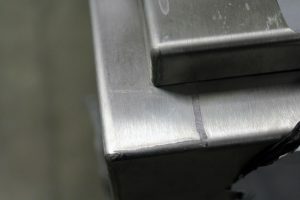 From a simple sheet metal pressing through to complicated fabricated assembly, accuracy is guaranteed with computer controlled punching, Laser cutting and metal forming. Our cost-effective sheet metal work and fabrication production process uses a cell group system. Customer’s instructions are efficiently and accurately converted into the finished product. Whether it’s assisting your staff during the product design for manufacturability, achieving lower costs while maintaining product integrity or by producing a functional prototype and a pre-production batch our professional staff are always committed to providing effective solutions. To further complement our bespoke Sheet metal work and fabrication business we built, several years ago an additional self-contained factory on the same site and installed a modern track-way powder coating plant. This allows us to finish any products requiring powder coating ourselves all on one site. We offer you a wide variety of finishes to suit your requirements, chrome plated, powder coated and electroplated are just a few of the many available to the customer. We at HEC Showman place the needs of our customer first and is the most important contributor to the success of both our company and the customers we serve.